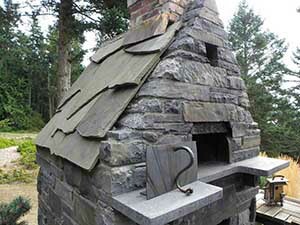 Authentic stone and Brickwork Inc. is a stone mason company based on Lopez Island and servicing Orcas Island and San Juan Island. We specialize in Stonework, brickwork, wood fired ovens, rockwork, stone patios, fireplaces, rumford fireplace, concrete counters, retaining walls, stone fountains, landscape stone, slate roof, stone carving, architectural stonework, and retaining walls. 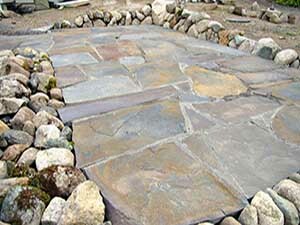 If the techniques of the traditional stone mason are followed, then the work looks balanced. The eye moves comfortably, not separating one part from another. The strength of the whole is what is noticed. Form always follows function. We construct using the laws of physics and the techniques of the masters. Based on Lopez Island and servicing all the San Juan Islands.